As the holiday break approaches, you might have visions of sugar plums dancing in your head that turn quickly to thoughts about the amount of work that you have to do before break. Thoughts of binge watching Netflix over the break may get interrupted by the reality that you will return from break with more and more assessments and reports to write. And we all know what happens in March…things ramp up like nobody’s business and you have the school psych version of “March Madness” of assessments. Noooooooo! I want you to have a relaxing holiday and a smooth second semester! That is why I want to share with you what hundreds of school psychologists I’ve worked with in the Thriving School Psychologist Collective community have learned about how to work smarter (not harder!) to meet assessment deadlines using organizational and technology hacks, how to reduce stress and increase enjoyment of the job because they are freeing up time to do passion projects with students, AND increasing overall happiness by actually having a personal life too! It is possible to be free from writing reports in the evenings, on breaks, or on the weekends. It is possible to spend less time during your school day doing mundane and repetitive paperwork tasks so that you can focus on what you love to do—being champions for helping children be the best they can be in school and in life and supporting educators and families. 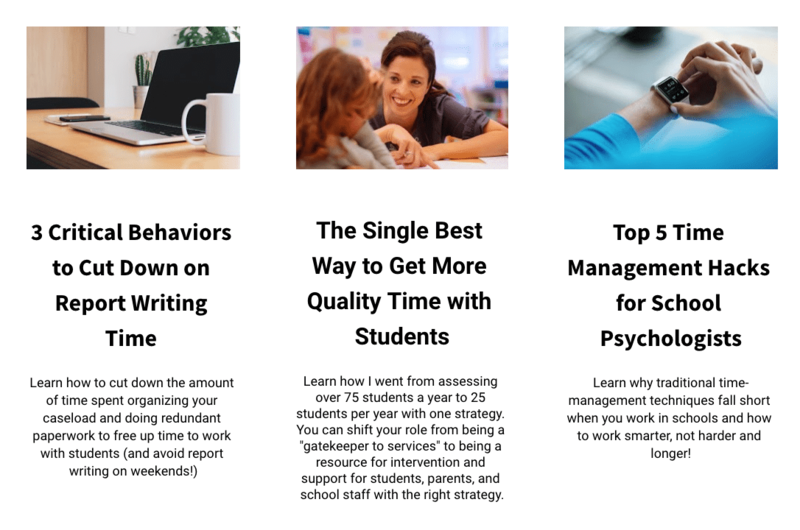 For a limited time, join me for a FREE webinar for school psychologists to learn how you can move from being a “testing machine” to having the freedom to do meaningful work with students, families, and school staff. You don’t have to muddle through another semester alone, hoping things will someday be different! You have the power to change your career from within—even in the most challenging of school districts. Let 2019 be the year that you stop feeling like you’re never getting enough done even though you’re working constantly. 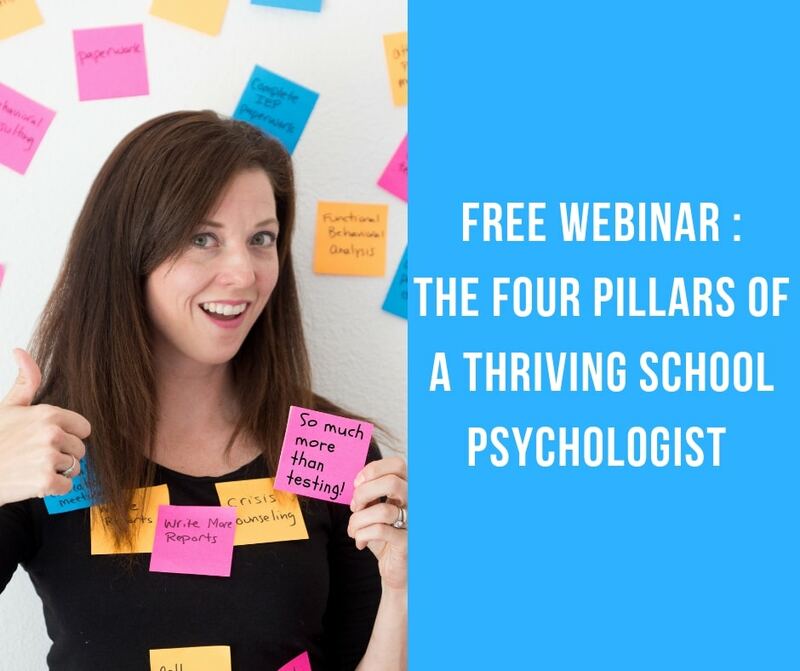 Join me for the FREE one-hour Four Pillars of a Thriving School Psychologist webinar and get the mindset and skills you need to have a relaxing break and a more successful 2019! And if you attended the webinar before, there’s some great new tools and bonus offerings as well! And because I’ve heard from many of you that you don’t want to wait until next August to join me in the Thriving School Psychologist Collective, at the end of the webinar, I’ll be sharing how you can join the special December cohort of the course and community and earn NASP-approved CEUs too…hurrah! Click here to find the date and time that works best for you.